The breakdown of political negotiation within Congress today is puzzling in several important respects. The United States used to be viewed as a land of broad consensus and pragmatic politics in which sharp ideological differences were largely absent; yet, today, politics is dominated by intense party polarization and limited agreement among representatives on policy problems and solutions. Americans pride themselves on their community spirit, civic engagement, and dynamic society, yet we are handicapped by our national political institutions, which often-but not always-stifle the popular desire for policy innovation and political reforms. The separation of powers helps to explain why Congress has a difficult time taking action, but many countries that have severe institutional hurdles to easy majoritarian rule still produce political deals. 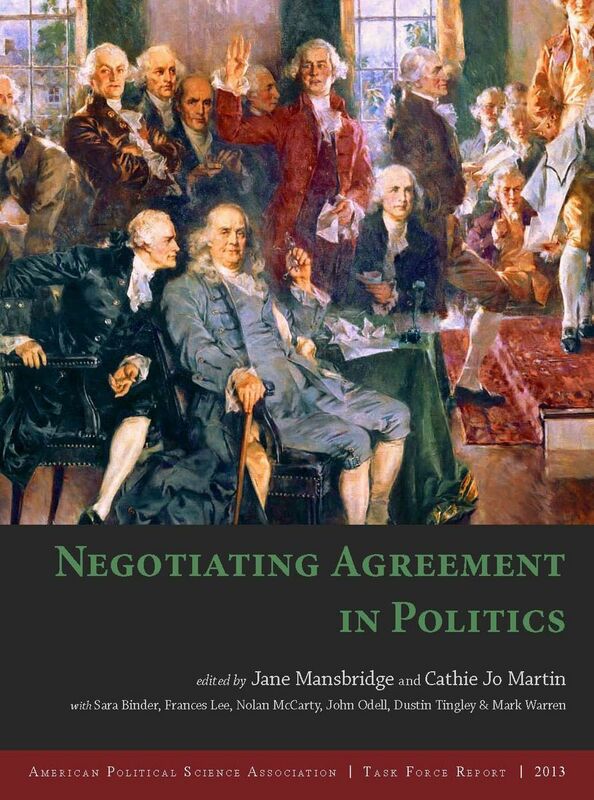 This report explores the problems of political negotiation in the United States, provides lessons from success stories in political negotiation, and offers practical advice for how diverse interests might overcome their narrow disagreements to negotiate win-win solutions. Click here to learn about the book at Brookings Institution Press!